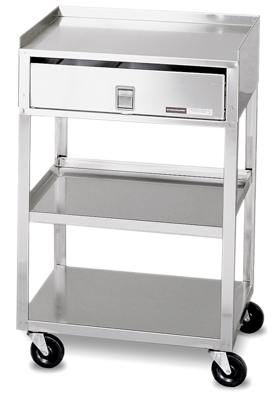 Mobile storage and platform cart for stimulation and ultrasound units, or general uses. 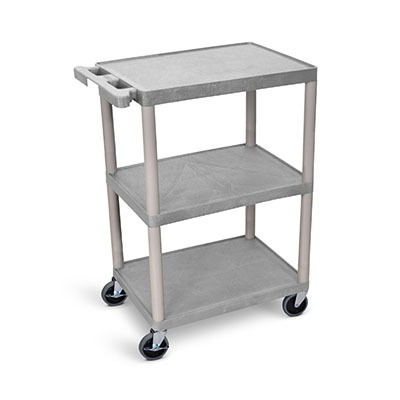 Stainless steel mobile cart for stimulation and ultrasound units, or general uses. Dimensions: 19.5" x 16.75" x 18.75"
Dimensions: 29.5" x 16.75" x 18.75"
Plastic 3 shelf cart includes storage basket and locking casters. 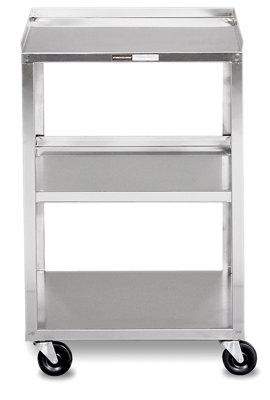 Mettler® single top can hold 1 large unit; dual top can hold 2 small units. 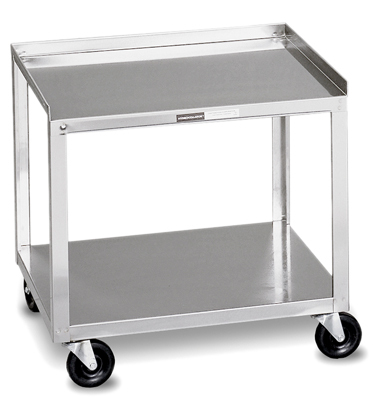 Plastic 3 shelf cart has casters and easy to grab handles on each side. Dimensions: 34" x 14.25" x 20.75"